I don’t know if my regular followers noticed, but this week’s pattern is actually a variation on an older pattern. Have a look at the video to see what the old pattern looked like. 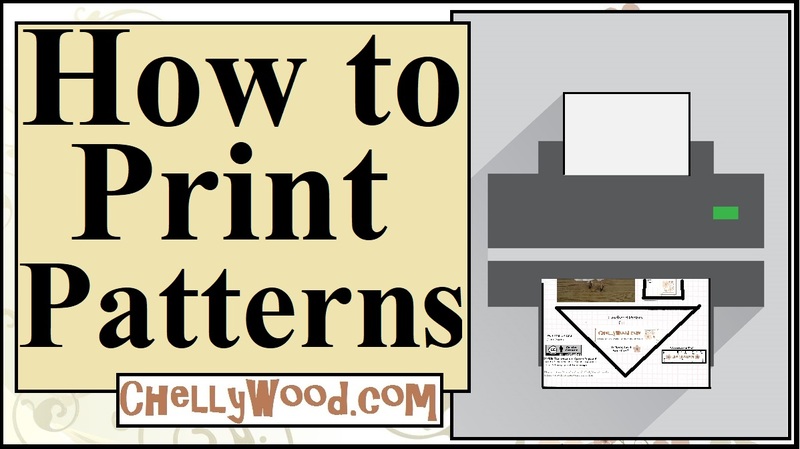 New improvements to the old patterns include a measurement tool, suggested seam allowances, guidelines for printing, and more. New versions of the patterns also include the “Creative Commons” mark, which means you’re welcome to use my free patterns, as long as you tell people where you got them. The tutorial above shows the original dress that went with the earlier version of this pattern. That first dress used Easter-themed printed fabric, whereas the new tutorial, which I posted here just yesterday, demonstrated how to make a Halloween-themed dress. In truth, you could use any type of fabric you wanted with this pattern. But I have a small confession to make. I used to post the earlier version of this pattern with a claim that it had a one-size-fits-all bodice (made of felt). What I’ve discovered in re-designing this pattern is that the bodice that goes with this project is less flexible than I had originally thought. I’m a bit embarrassed to admit this, but I also think it’s important to be straightforward when I have clearly made a mistake. So in the future, I’d like to make it up to my faithful followers by creating a truly one-size-fits-most fashion doll shirt pattern. 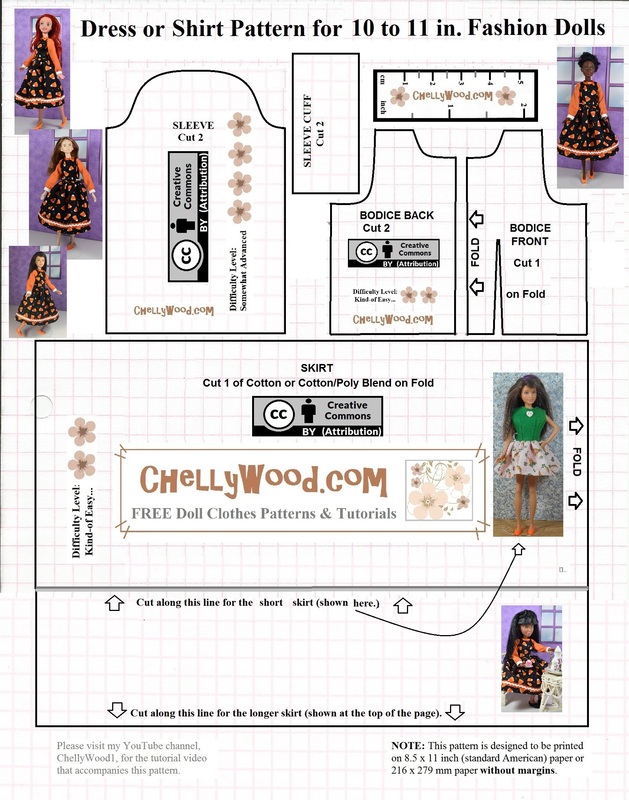 Watch for that free pattern and tutorial right here on ChellyWood.com over the coming months.